Do you have a story, novel, memoir, screenplay, or poem that you’ve been thinking about for years, but haven’t written? When you try to write, do you almost always feel an urge to do something else? Does procrastination or fear stop you from writing? When I became a full-time writer, I answered YES to every one of these questions too. That’s why I created the Fear & Writing course. 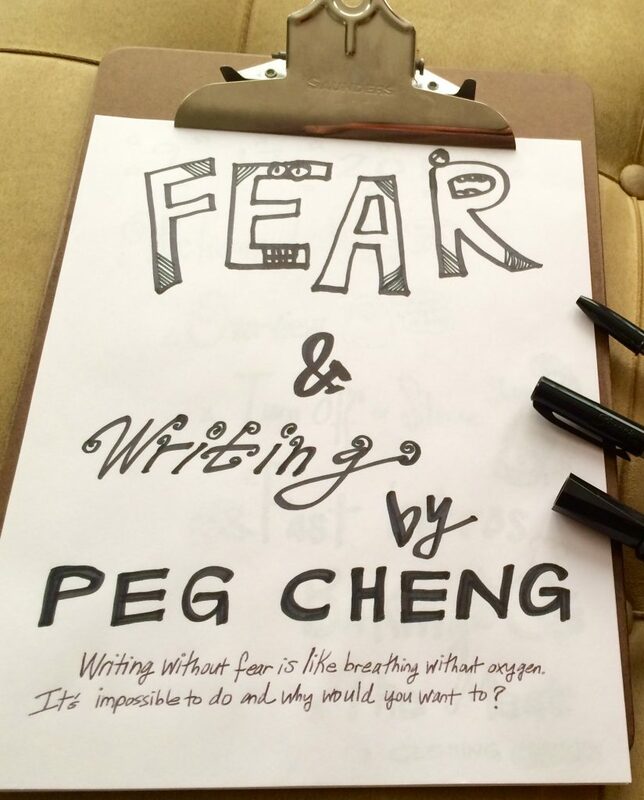 Once I learned how to face fear and keep writing, I wanted to help others do it too. All it takes is a desire to write and 30 minutes a day for 8 days. Register for the course by September 16, 2018 and receive 50% OFF. Just use coupon code: AWESOME. In Seattle, weather is the bane of every workshop teacher’s existence. When it’s raining, you fear that no one will come out for your workshop. When it’s sunny, you think the same thing. Whether the weather is rainy or sunny, it can end up having the same outcome: no one shows up. 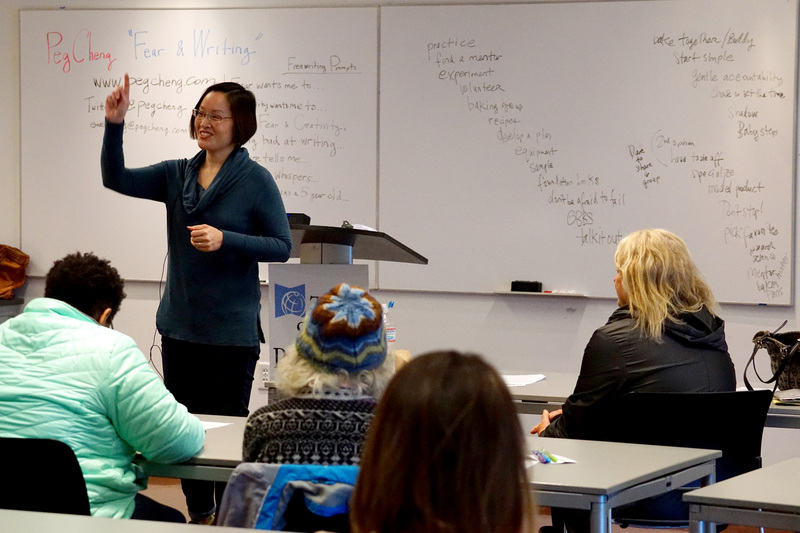 The first time I taught my Fear & Writing workshop was on a rainy Sunday last September. But, to my surprise, a ton of people showed up. 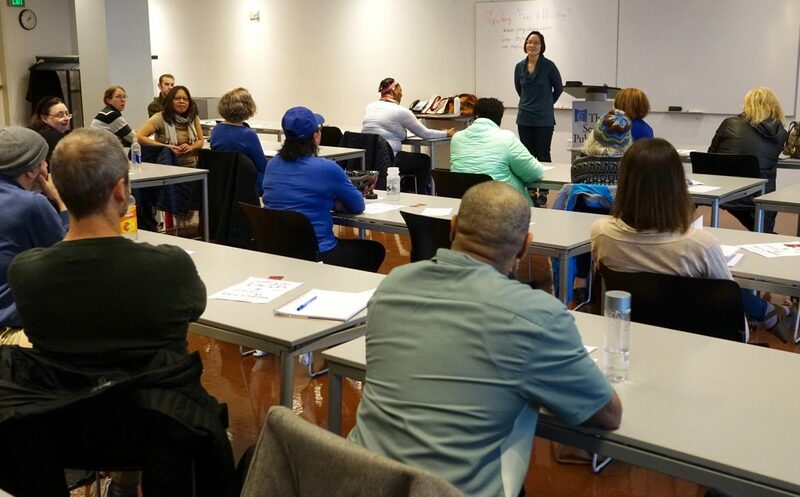 In fact, I found out later that my workshop, with 54 attendees, was the highest attended workshop in the Seattle Public Library’s Seattle Writes history. But, when the sun came out a few weeks ago on March 31, 2018, the day of my second Fear & Writing workshop, I was nervous. It was the first sunny day we’d had in weeks. I was so happy…and relieved. 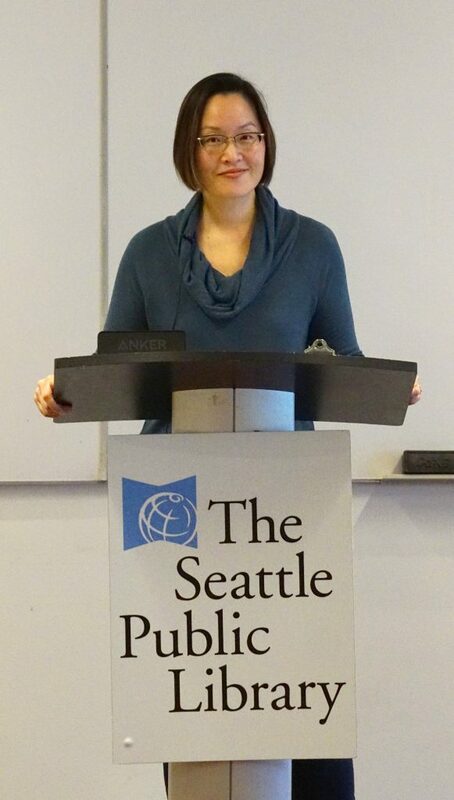 The conference room at the Seattle Central Library felt great, with an encouraging, positive energy. The participants seemed happy to be there. I loved teaching this workshop again. It felt just as good as when I taught it the first time. Even better in fact, because I was less nervous the second time around. Several people that came were friends (thanks, Putsata, Thomas, Cynthia, and Melissa). Even my former writing teacher and friend, Brian McDonald, showed up. He had no idea I was going to read from his book, Ink Spots, during the workshop. Even the coordinators of Seattle Writes, librarians Linda Johns and Andrea Gough, took the workshop after introducing me. It was an honor to have all these people there. Thanks to everyone who came and took the time to listen, learn, freewrite, meditate, and for some, to even read their writing aloud to a room full of strangers. I’m grateful to each and every one of you. Also, I really appreciated the questions that many of you asked at the end of the workshop. Your questions helped me realize what might be missing, and they’ll help me in adjusting the workshop’s content for next time. In the end, I hope you left my workshop with motivation and inspiration to write more, even if it’s just for ten minutes a day. Remember, you CAN feel the fear and write on! I was nervous about going to BlogHer18 in New York City. It was the first conference that I was attending by myself. In the past, I’ve attended work-related conferences with coworkers or supervisors, and for writing conferences, I’ve attended with at least one writing friend, usually two or three. But this conference was something I was choosing to attend on my own. For someone who treads the line between extrovert and introvert, this was a big step for me. 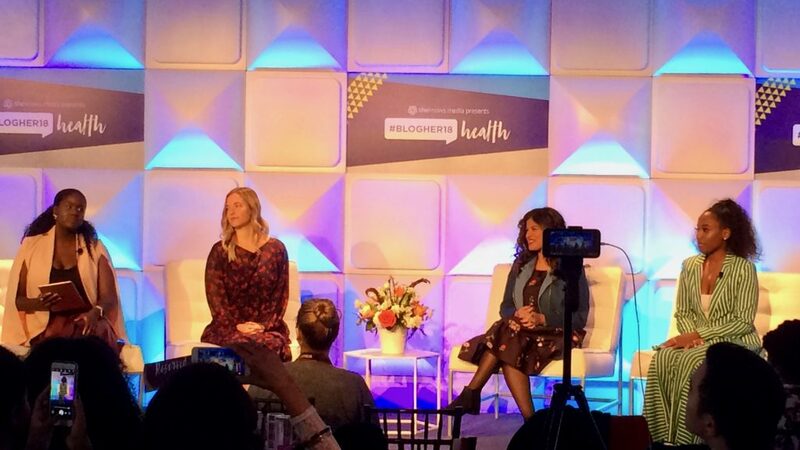 But five months ago, when I heard that BlogHer18 was going to be focused on Health & Wellness, something compelled me to say, YES. Here are my Top 5 highlights (and just one complaint) from BlogHer18. HIGHLIGHT #1: BlogHer18 was affordable. HIGHLIGHT #2: Location, Location, Location. I already mentioned that the conference was in NYC, but did I mention that I LOVE NYC? I love it so much that Marcus and I went there for our honeymoon nine years ago. No sandy beaches and tropical drinks for these newlyweds. No, the day after we got married, we flew to Manhattan for 10 days of exploring, noshing on bagels and pastrami, watching Broadway shows, strolling through Central Park, riding the subway, and going to museums. So, when I saw I could attend the conference for just $99 and it was in one of my favorite cities in the world, I had to go. HIGHLIGHT #3: Speakers were AMAZING. Okay, truth be told, I signed up without knowing who ANY of the speakers were going to be. There was no schedule when I signed up during the 50% OFF deal back in September. But, after looking at past BlogHer conferences, I saw that they were great at securing well-known, influential, and interesting speakers. So, I just hoped that this conference would be just as good as past conferences. And, it was. There were so many great speakers, from Julianne Hough sharing her struggle with being diagnosed with endometriosis, to Amy Ziering talking about filming documentaries about sexual assault (check out The Hunting Ground, The Invisible War), to the many influencers and entrepreneurs who spoke candidly about their health issues, how they healed (and/or are continuing to heal), and how they’re helping others. All these women blew me away with their courage, honesty, and tenacity! But, of the many amazing speakers, there were three that especially stuck in my mind…and in my heart. The first one was Jillian Michaels. All I knew about Jillian was that she was a bazillionaire fitness guru and personal trainer. Because I don’t watch network TV, I didn’t know that she had also been one of the trainers on the TV show, The Biggest Loser, for ten years. But, none of that mattered to me because once Jillian started talking (she’s the one on the left in the photo above), I realized she was one of the most authentic, down-to-earth, truthful, and hilarious speakers I’d ever seen. The way she answered an audience member’s question about how to convince her husband to focus on his health and lose weight was so wise and compassionate that I want to remember it forever. As I listened to her, I thought, I want to be as real and honest as she is. If you ever get a chance to see Jillian interviewed at a conference, do it. You won’t regret it. Later, my whole table had tears in their eyes after listening to Ruthie Lindsey. Some of us even said that the conference was worth coming to, just to hear her story. I felt that way. You can read/watch Ruthie’s story here. Have some tissues handy when you do. Just like Jillian Michaels, if you ever get a chance to see Ruthie speak, do yourself a favor and go. She will blow you away with her warmth, vulnerability, resilience, joyfulness, and humanity. Last but not least, one of the main reasons I was looking forward to the conference was to see Arianna Huffington (that’s her on the left with BlogHer President Samantha Skey). Arianna was announced as one of the keynotes after I registered. I read Huffington Post articles all the time and I’ve always been curious about her. She did not disappoint. Listening to Arianna was like listening to the super-wise-no-BS aunt that every woman wishes she had. I tweeted Samantha afterwards, saying that I’d attend a conference where she interviews Arianna for like five hours. I would. And I don’t think I’m the only one. HIGHLIGHT #4: I realized that I’m not alone. My key takeway from the BlogHer conference is that I’m not alone. I currently live with several autoimmune disorders. They’re invisible to the naked eye and to everyone I’ve met, I look perfectly healthy. But the thing is, I’m not. Every day, it takes dedicated time, hope, faith, and tenacity to do the things that help me to heal. It’s a long, winding road and sometimes, I feel like giving up, to stop trying. But, something inside me told me to go to this conference and I’m so glad I listened. The speakers at BlogHer18 were what I needed to see, hear, and experience in order to keep going with my health and wellness journey. HIGHLIGHT #5: Attendees were inspiring. I met so many cool women at the conference. I wasn’t expecting that. I was just hoping to get good information and inspiration from the speakers. I didn’t realize I’d be just as inspired from my fellow attendees. 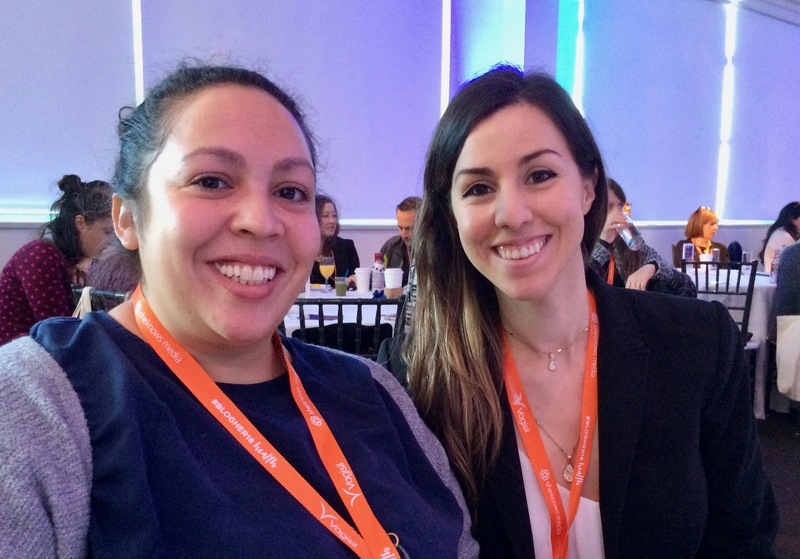 I want to give a shout-out to the first people I met at the conference, Jasmin Sanchez and Caitlin Revuelta of Humanscale, a company that makes ergonomic furniture and other products for creating a healthier workplace. I’ve been looking for the right desk chair for decades. I hope that I’ll be able to find one at Humanscale. 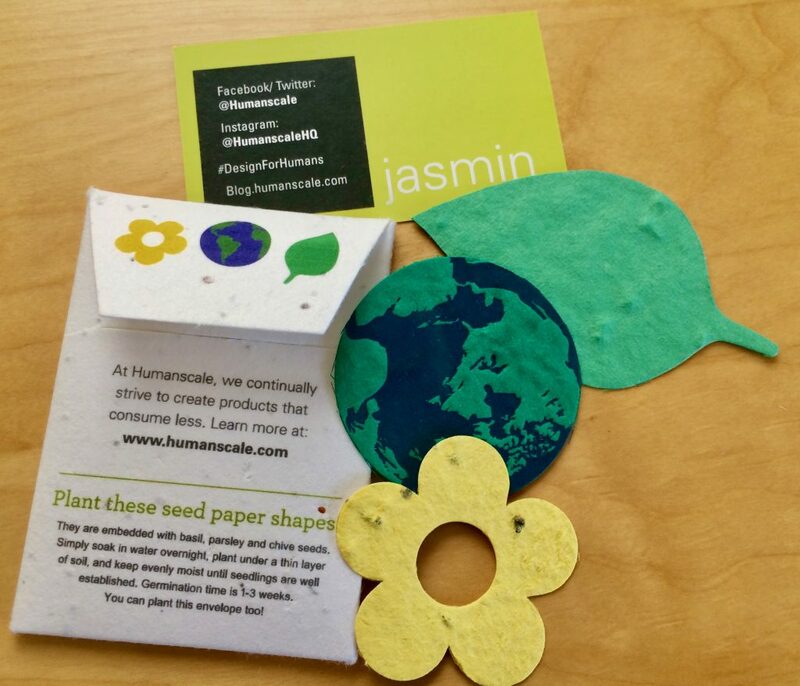 Jasmin and Caitlin had the cutest business card holders. They included these fun papers embedded with basil, parsley, and chive seeds that you can soak in water overnight and then plant. 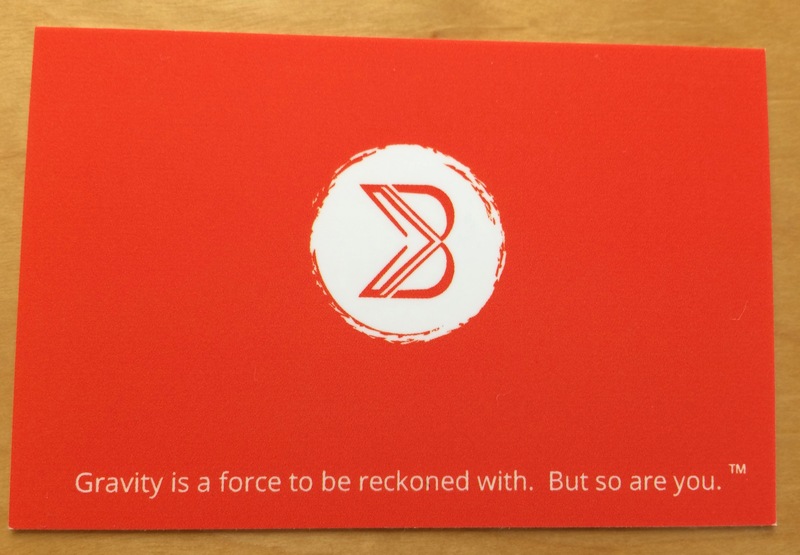 Whenever I meet a woman who’s looking for a good sports bra, I’m now referring them to Laura Tempesta’s BRAVOLUTION site. (Isn’t that a cool logo? And a great tagline?) I had a great time talking with Laura, and she recommended two bras that might be the right fit for me (just like the perfect desk chair, I have yet to find the perfect sports bra). As the former sports bra design executive at Nike, with a Master’s degree in Lingerie Design, I trust Laura’s tips. I love Liana Teresa‘s card! Liana has so much positive energy and hustle that it made me want to have a business or product that needed a logo just so I could hire her. 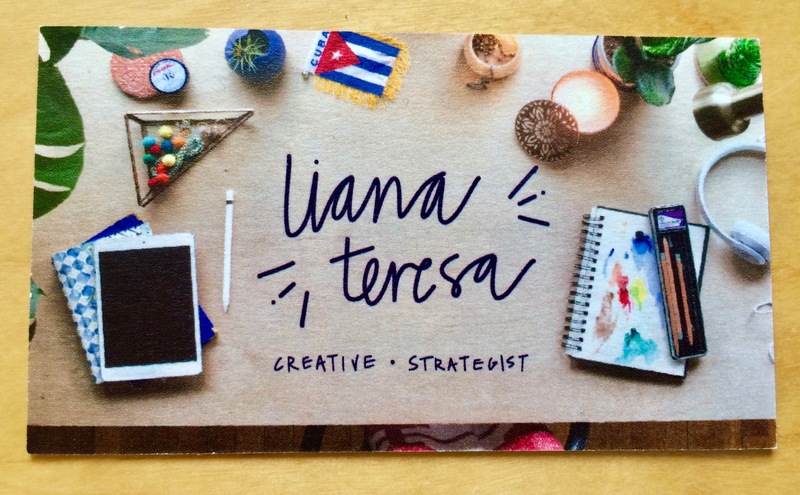 If you need a designer for a product, business, or event, check out Liana’s site. She has a cool blog too. Some other entrepreneurs I met were Maria Roberts at the first table I sat at who’s co-creator of the beautiful blog Spinach4Breakfast; productivity coach and blogger Julie Torres from the very long lunch line; pilates/yoga instructor and lifestyle coach Lani McGuire from the wonderful meditation session, and Emily Giegerich (and her colleague) who I sat next to at Arianna Huffington’s talk who created the great peer-to-peer resource site, IHadCancer. 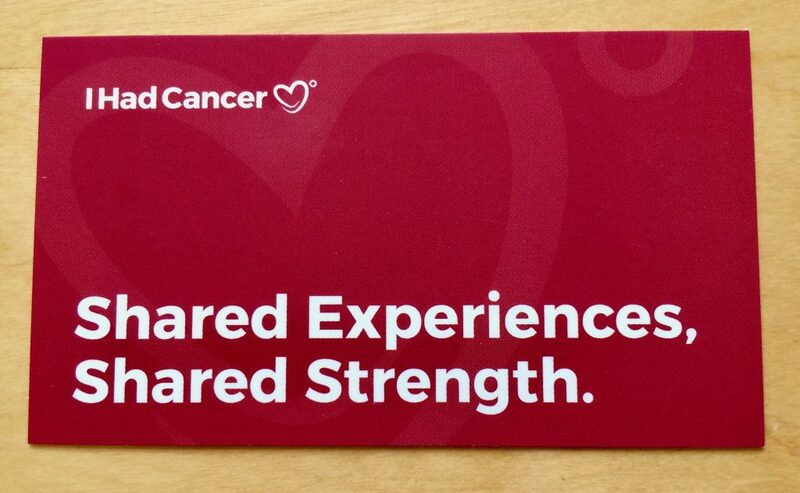 I love their tagline: Shared Experiences, Shared Strength. Last but not least, I met Mara Landis, Founder and CEO of Nutmeg Aspirin, while were both in line for the bathroom. 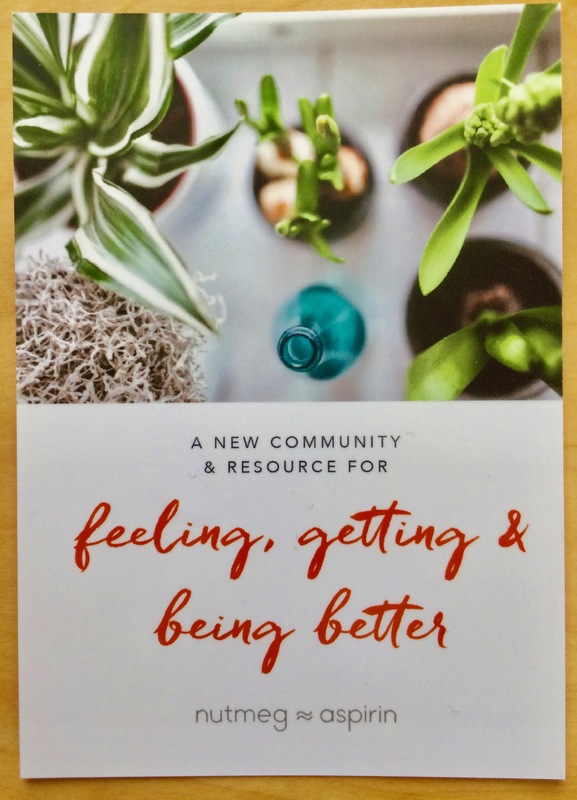 Mara’s site just launched and it’s a place to share, explore, and learn ways for “feeling, getting and being better.” I’m thinking about contributing tips about SIBO and other health issues. If you have tips you’d like to share, check out her site. The conference needed A LOT more bathrooms! It took place at Tribeca 360, which was a good location, but there were very few bathroom stalls. They converted the men’s restroom to a women’s restroom, but it still wasn’t enough–only about 8 stalls total. When you have 500 women at a conference, you have to book a location with a lot more bathroom stalls. 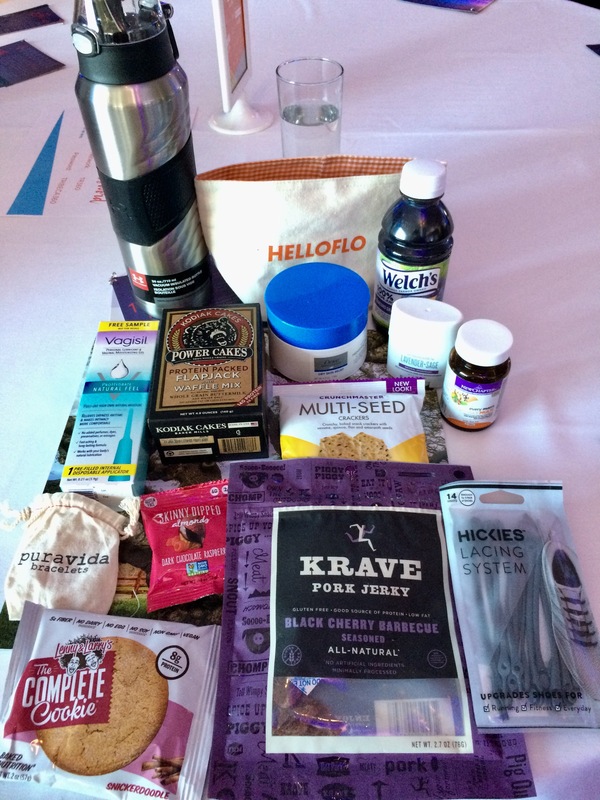 BlogHer team, you did many things right, but this one thing is imperative to every attendee’s health and comfort. Please step up your bathroom game with the next conference. In the end, I really enjoyed my time at BlogHer18. 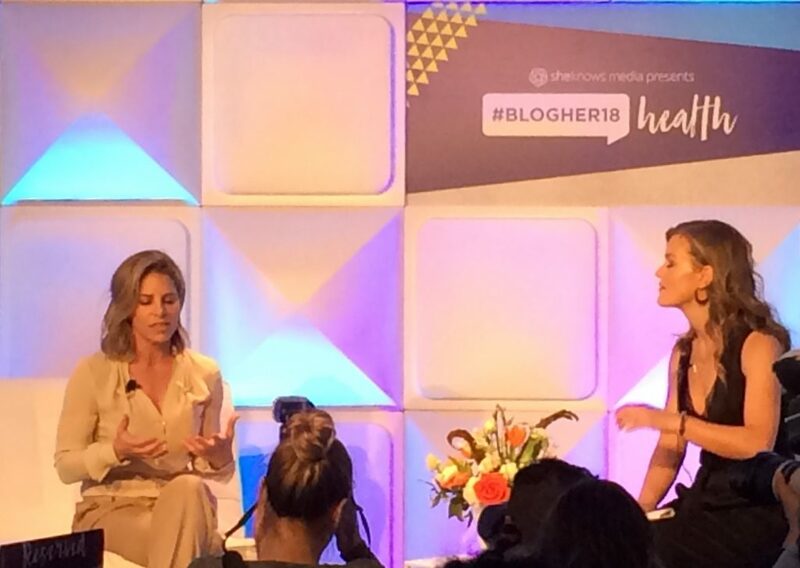 I’d definitely recommend BlogHer conferences to other women. I went to the conference alone, but came away feeling inspired, motivated, enlightened, and feeling less alone. It was worth my time and money. I’ll be thinking about all the things I learned, and the women I met, for years to come. 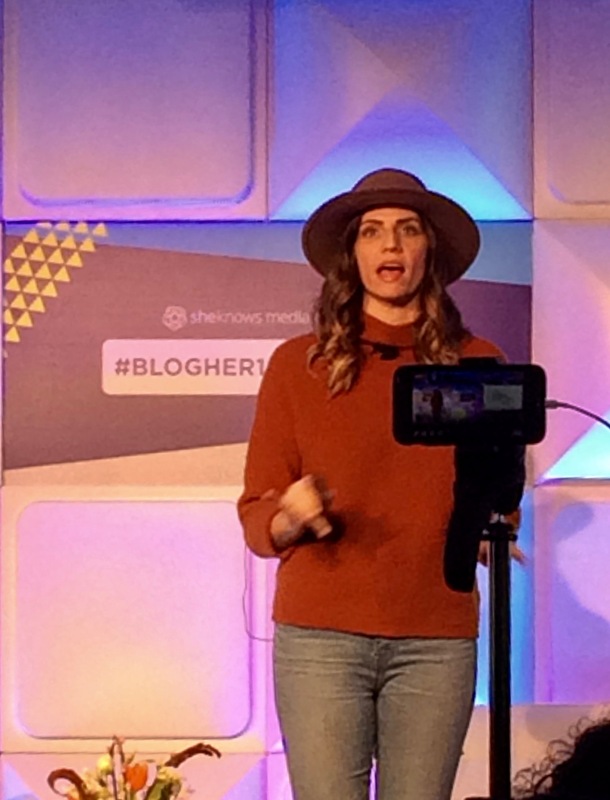 Looking forward to seeing what the BlogHer team comes up with next! Come to my Writers Retreat in Jan 2018! I’m hosting my second Writers Wellness Retreat on Sunday, January 14, 2018! 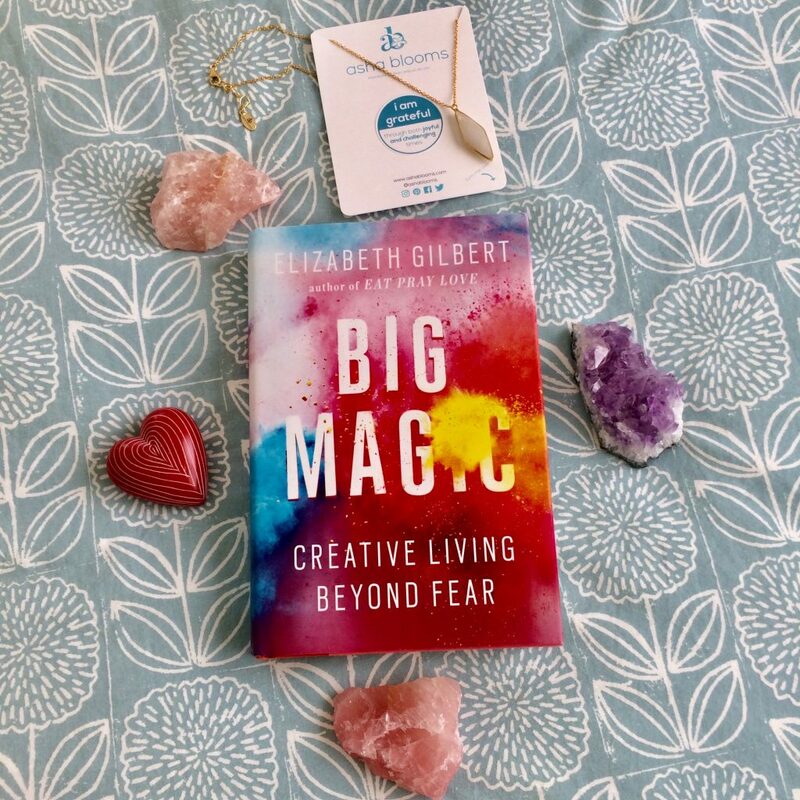 In March, I hosted my inaugural Writers Wellness Retreat focused on practicing self-care in order to gain greater creativity and productivity. This retreat will still focus on self-care, but the theme this time is Winter Dreaming. In nature, winter is the season for migration, hibernation, and staying alive. 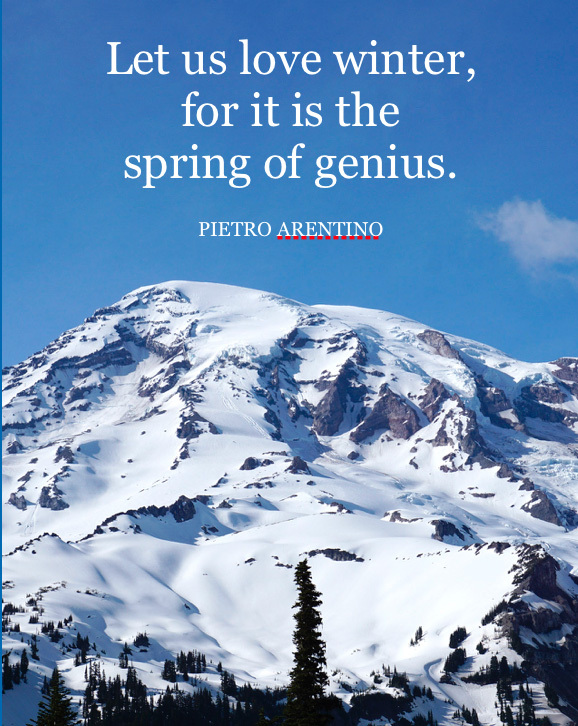 For writers, it’s the perfect season for dreaming, planning, and restoration. Through meditation, use the power of breath to practice mindfulness and connect with your inner self. Through guided writing exercises, unveil your writing dream for the new year and discover ways to reach it. Through the sharing of stories, gain perspective, unearth possibilities, and enjoy camaraderie with fellow writers. Experience all of this at Embrace the Moon, a healing and beautiful space in the Ballard neighborhood of Seattle. Lunch, snacks, tea, and self-care goody bags will be provided. If you want to know more, please read Jeanie’s beautiful post of her experience at my last retreat. And, if you attended that one, please know that this retreat will feature completely different meditations, guided writing exercises, and stories. Scholarships are available for students and low-income writers. Email peg(at)pegcheng(dot)com for more info. UPDATE: This event was cancelled due to low enrollment. If you’re interested in attending one of my future events, contact me and I’ll add you to my email newsletter list. Thank you!